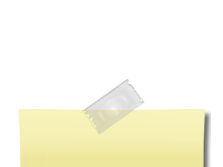 I need help with the names. 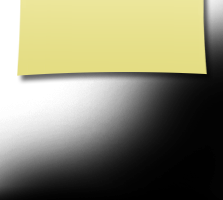 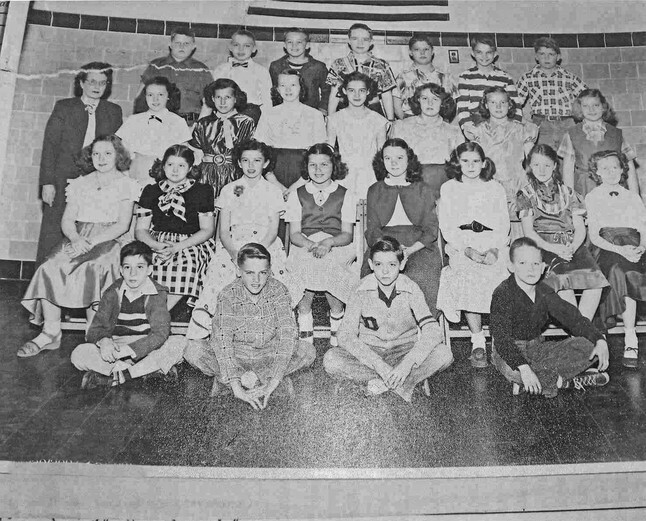 If you know of any wrong name association and/or spelling, or can fill in any of the missing names, please send me an email. 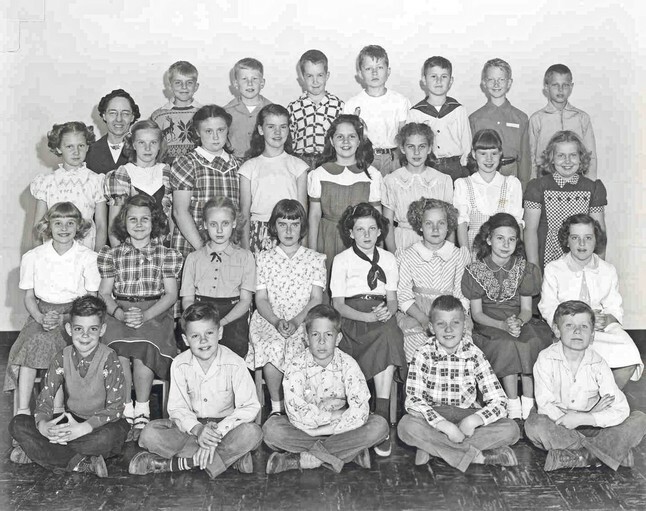 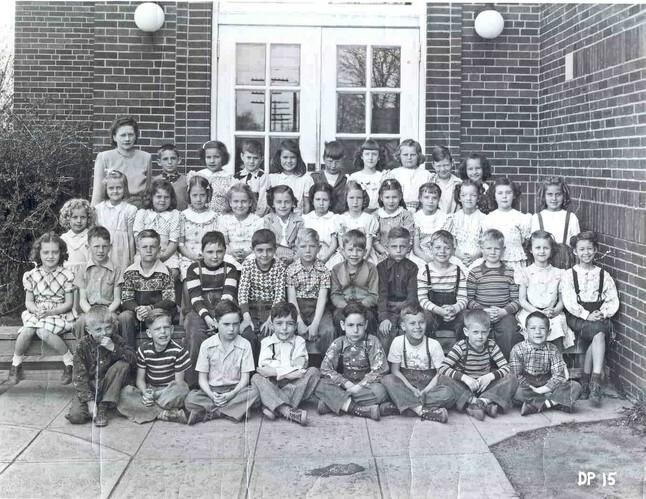 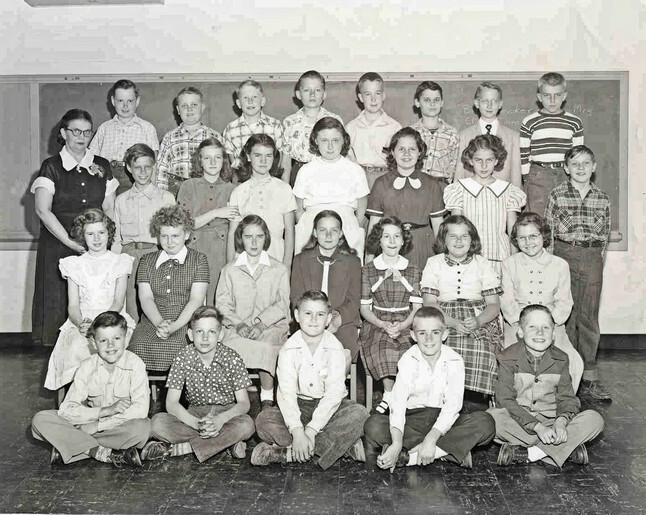 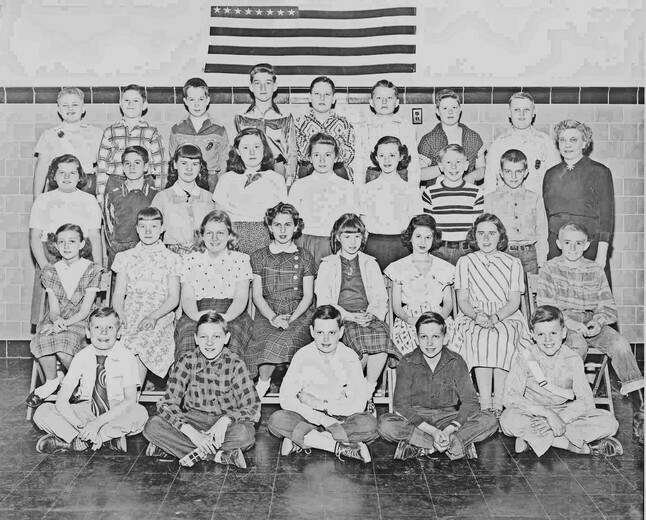 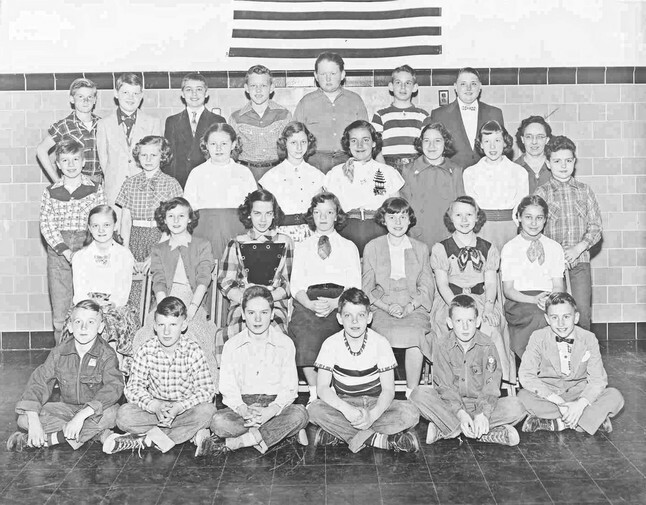 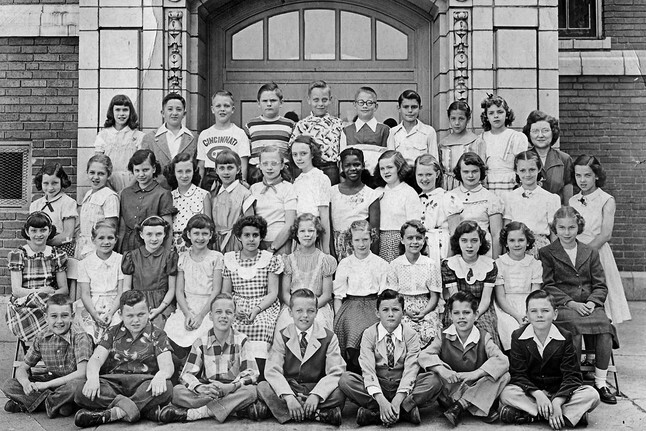 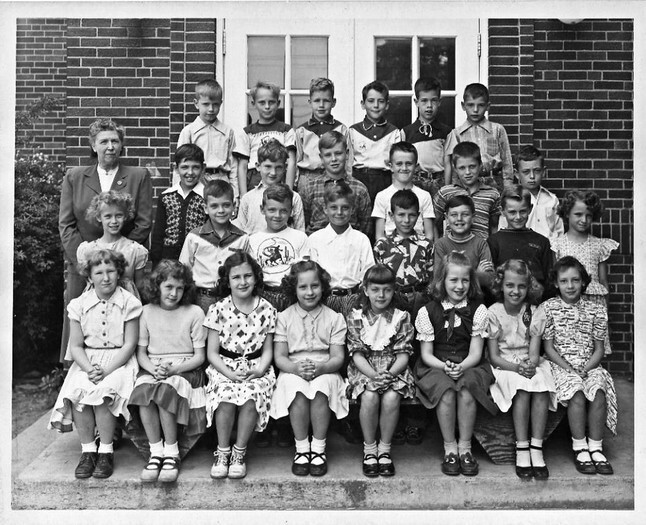 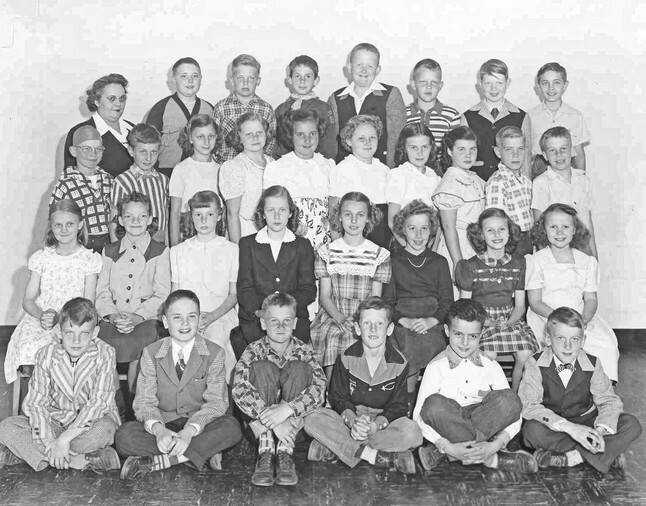 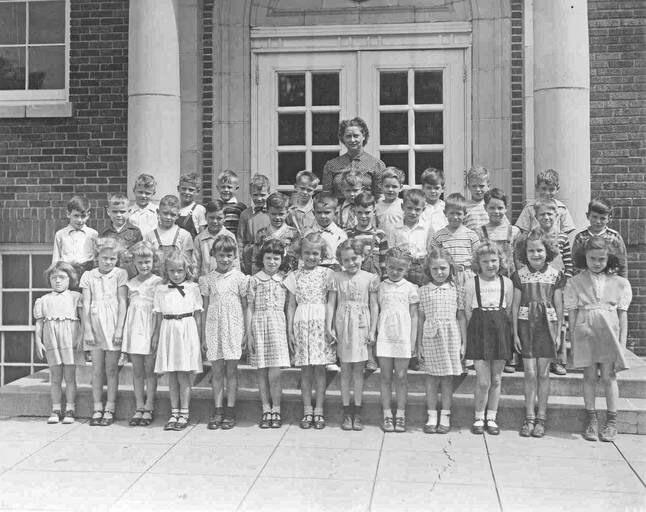 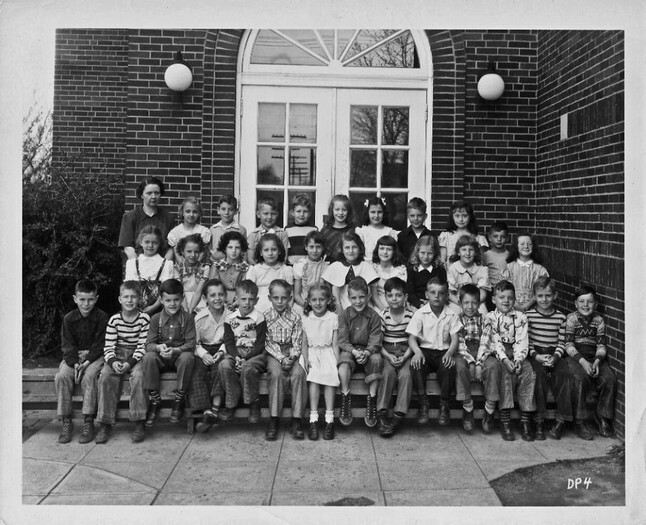 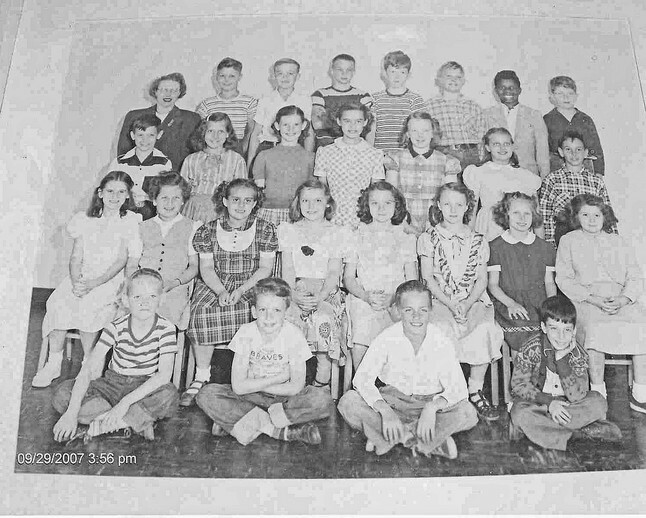 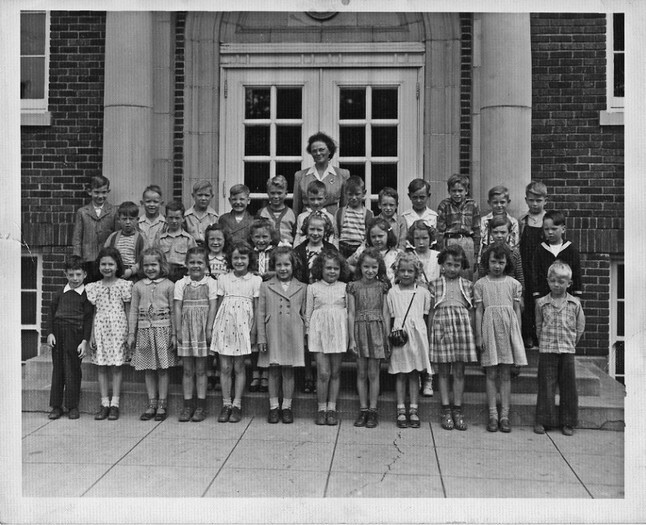 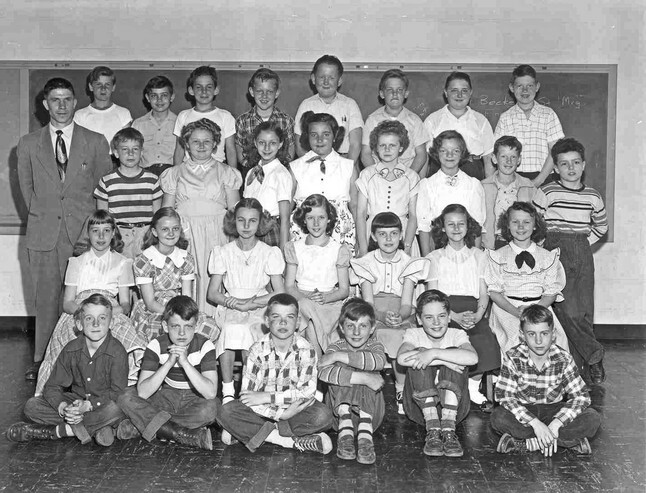 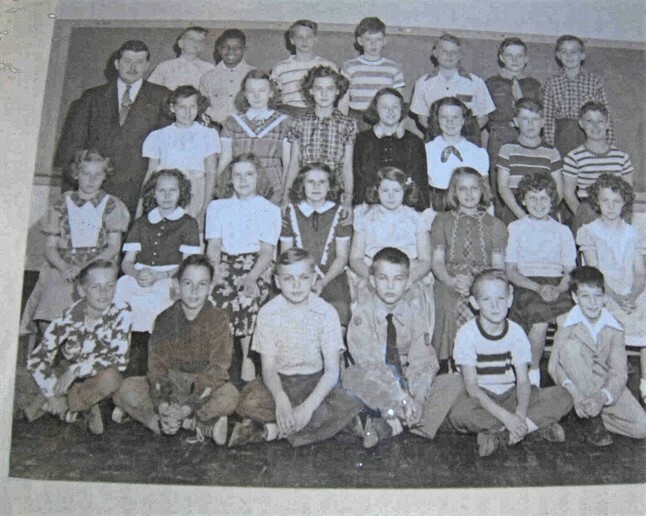 Also, do you have any grade school class photos that are in better shape or missing from those below? 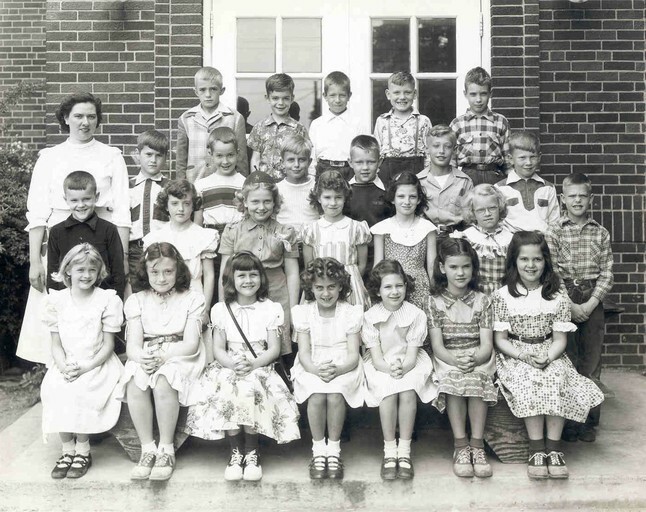 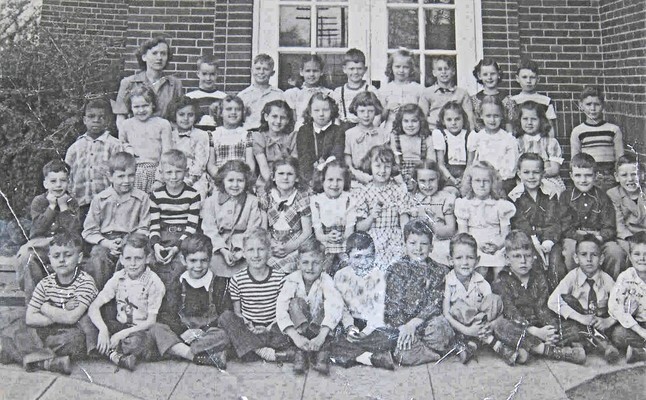 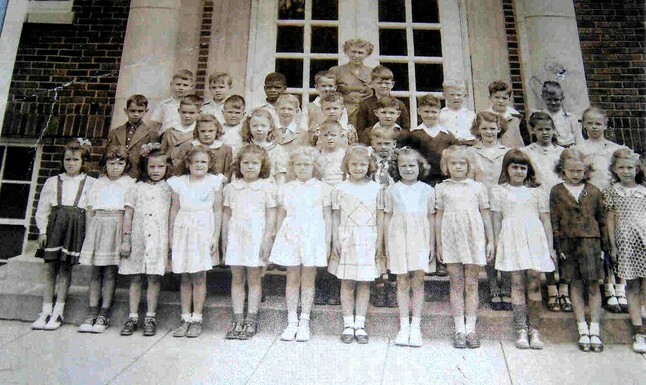 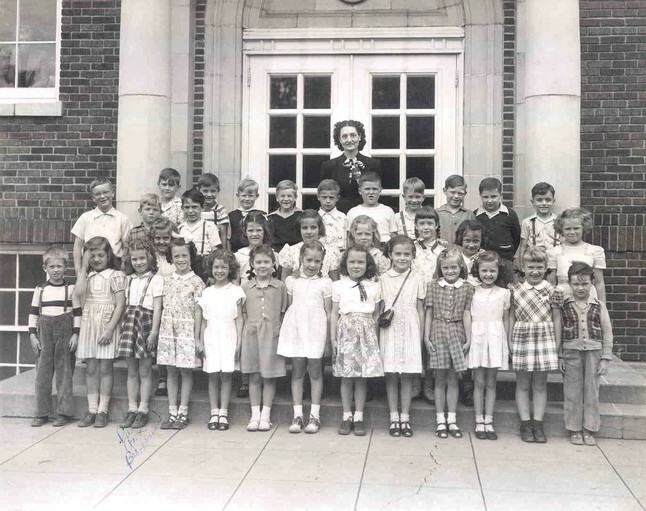 Can you find Gail Choate, Marilyn Oeters and Ann Maschmeyer in the above photo?